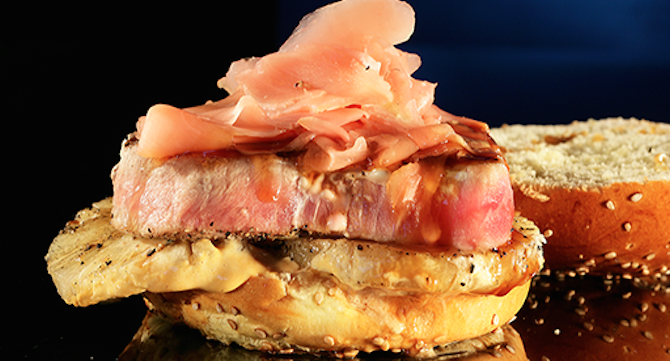 We are lucky to go to a school in such close proximity to one of DC’s best food scenes. As soon as we walk outside the front gates there are Wisey’s, Sweetgreen, Booey’s, Mai Thai, Good Stuff and Chipotle to name a few. Most schools are not as lucky as us to have such a wide variety of cuisine options at their finger tips. As a result, Georgetown students seem less inclined to order-in food than students at other campuses, unless it is for late-night Domino’s. Here is a list of 7 random dishes that you can have delivered right to your door at an affordable price and that will make ordering-in the new, Georgetown fad. And here’s a plug: try ordering these dishes using the EatStreet App not only to find the best delivery prices around but also to win exclusive specials and discounts to local DC restaurants. 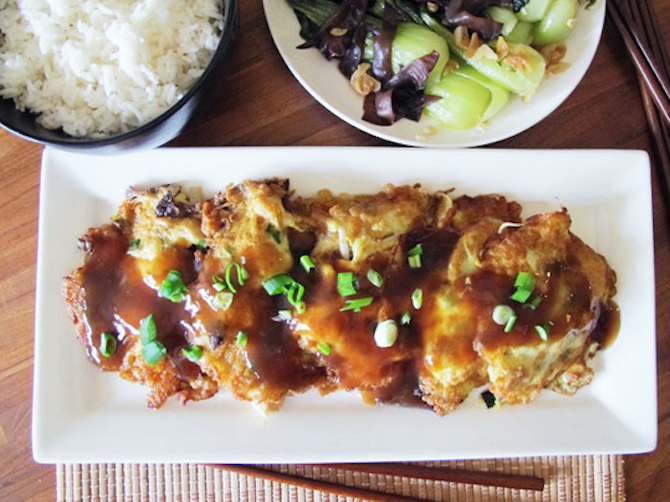 Egg Foo Young is like the Chinese version of a quiche: it is an omelette dish made with various vegetables and often topped with a meat ingredient such as pork, shrimp, chicken or beef. This proud piece of grilled fish is lightly punctuated with pineapple, teryiaki and pickled ginger to give the burger a nice bite. 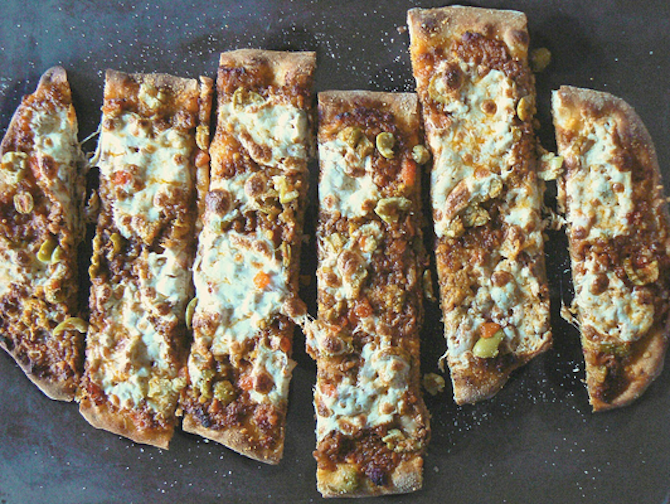 This pizza combines two of Italy’s most popular dishes: pizza and pasta bolognese. What could be better? Why go out for classic Mexican food when you can get it delivered to your door? 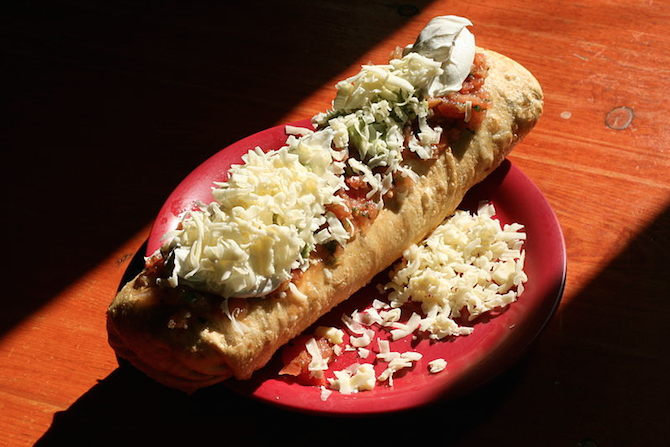 Chimichangas consist of a large, flour tortilla filled with beans, rice, pico de gallo, guacomole, and a meat of your choice. 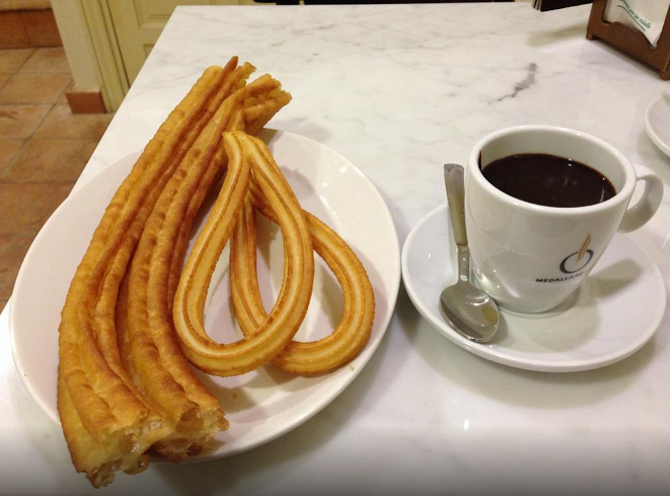 No where in Georgetown can you pick up this popular Spanish dessert, so you might as well order them in. 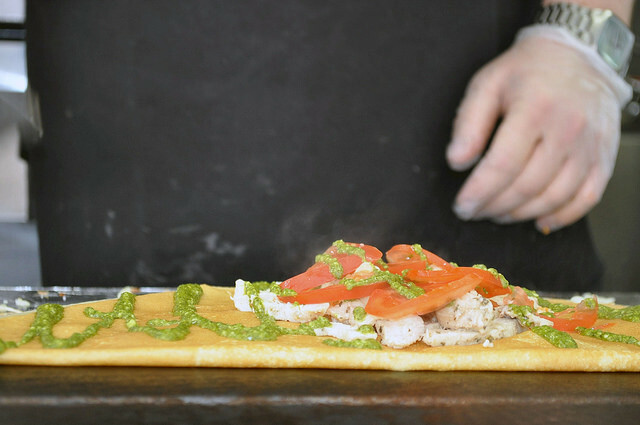 With Crepe-N-Creme offering a wide range of sweet and savory crepe options, students no longer need to wait until Wednesday’s to grab their crepes from the farmer’s market. 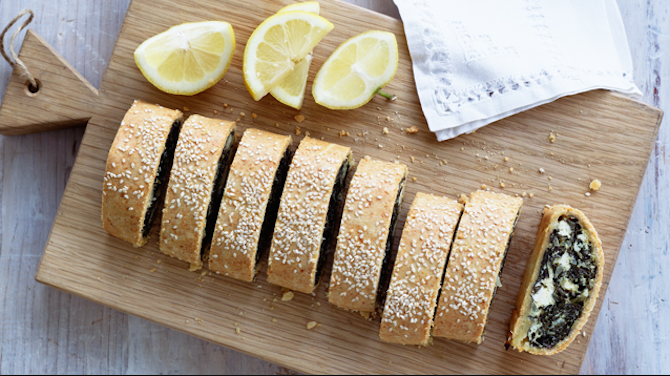 Imagine a homemade, warm roll filled with feta cheese in your mouth in less than 30 mins. Make sure to use this Spoon exclusive code: FEED3U ($3 Off, $10min, First Order Only, Cannot be combined with exclusive specials). This post is sponsored by EatStreet.